Lube Mobile, the Mobile Mechanics replace Timing Chains, Timing Gears, Timing Chain Kits, chain guides, idler, pulley and tensioner. Timing Chain should be replaced at intervals recommended by the manufacturer or when noisey or broken. These can become very rattley and should be checked out when occuring. The Timing Chain is a crucial part of the engine and if it is not replaced and fails it could result in major engine damage. When the chain breaks, in half the cases, the pistons continue to move whilst the valves have stopped and then ... damage. Valves bend as they hit the pistons. This will then require a full head service and valve replacement on the vehicle. Depending on the age and kilometres travelled it could be wise to replace the engine entirely as numerous other parts could have either been affected by the same issue and/or may close to being worn out also. Timing Chain can be a large investment so you want to make sure the rest of the engine will last you years to come. 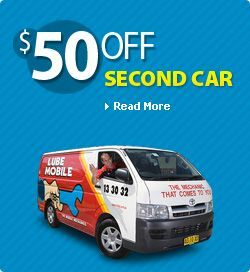 Lube Mobile is the mechanic that comes to you, offering flexible location arrangements and booking schedules which can fit in with your time, and not your mechanic’s. We make sure you understand exactly what we’re doing and can provide you with a comprehensive written quote ahead of time. Becasue quite a few timing components are inside the engine and near the chain, an exact price may not be possible until then. We use only quality parts on your vehicle. We can replace timing chains on site (if safe) at your convenience. All work comes with a 12 Month/20,000km Warranty. Choose our online booking facility for a fast and easy booking at your preferred location and time. You can book this online now or obtain a quote via email or call our frindly staff on 13 30 32 for more friendly assistance.